PT Pelindo Daya Sejahtera - PT PDS is a well-established manpower outsourcing services company in Indonesia under PT Pelabuhan Indonesia III (Persero) or Pelindo 3 Group. 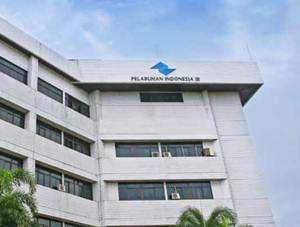 According to Pelindo 3 Group's Annual Report 2014 as cited by JobsCDC.com, PT Pelindo Daya Sejahtera’s shareholders are Pelindo 3 Group and Koperasi Pegawai Pelindo III. Pelindo 3 Group, which owns 90% of PT Pelindo Daya Sejahtera’s issued share capital, is a reputable state-owned port operator in Indonesia based in Surabaya East Java. Koperasi Pegawai Pelindo III owns 10% of PT Pelindo Daya Sejahtera’s issued share capital and is an employee cooperative of Pelindo 3 Group. PT Pelindo Daya Sejahtera operates primarily as an ousourcing provider of Pelindo 3 Group. The Company is based in Surabaya East Java and its head office is registered at Jl Perak Timur 480 Surabaya. PT Pelindo Daya Sejahtera was formed on 19 March 2014 to manages the outsourcing labors in Pelindo 3 Group. Previously, outsourcing labors at Pelindo 3 Group managed by Koperasi Pegawai Pelindo III. PT PDS now has 1 subsidiary: PT Tanjung Emas Daya Solusi which engaged in tally services. Minimum 18 years and not older than 30 years of age on 1 May 2016. Minimum education of Senior High School (SMA) or equivalent. Placement at Benoa Bali (local resident Bali and living in same city as work location is preferred). JobsCDC.com now available on android device. Download now on Google Play here. Please be aware of recruitment fraud. The entire stage of this selection process is free of charge. PT Pelindo Daya Sejahtera - Recruitment SMA, SMK Operator Pelindo 3 Group July 2016 will never ask for fees or upfront payments for any purposes during the recruitment process such as transportation and accommodation.